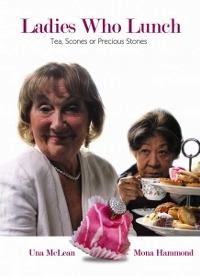 Ladies Who Lunch (Comedy Drama) – Screenwriter. Written by Laura Anne Anderson, Directed by Victoria Thomas, funded by South West Screen Commission and starring Una McLean and Mona Hammond. ‘Honest Betty and glamorous Grace are bored of retirement, and in a bid to excite her old friend Grace reveals her secret life as a recreational shoplifter’. Selected for the Short Film Corner at Cannes 2010, Winner of Best Short Film at the 2010 Black International Film Festival (BIF), Nominee of Golden Knight Award at Malta Film Festival 2010. Find out more about Ladies Who Lunch on IMDB. The Santa Trap (animation) – Script and Story Editor – Written by Brian Spence, Directed by Victoria Thomas. ‘Having successfully caught the Easter Bunny and the Tooth Fairy, Rosie is determined to kidnap Santa and tackle him over his bad presents.’ Find out more about The Santa Trap.